We have all seen the brown box trucks and delivery vans with the UPS sign. Those UPS trucks are on our highways, parkways and in our neighborhoods. Most of the time, the drivers are quick, efficient and professional. But UPS accidents happen and people can get hurt. The question is – what do you do if you are injured in a UPS accident in Broward County? What you should do is call the best Broward car accident attorney that you can find. At the Wolfson Law Firm, our UPS accident lawyers in Broward are standing by to help you and your family. We offer free consultations by appointment at our Fort Lauderdale office or we can meet with you whenever it is most convenient for you. Just call us at (855) 982-2067 and let us work with you so that you can get the justice that you deserve following your UPS accident. UPS has become the worldwide leader in the package delivery industry. It has been the leading delivery agent for Amazon. In terms of private employment, UPS has the tenth largest employment force in the USA. UPS will likely be impacted by technological advancements in the industry. Considering that Apple, Google, Uber and Amazon are among the leaders in the research and development of driverless vehicle technology, it is safe to assume that once perfected UPS can expect a decrease in package delivery volume. One can also expect that UPS will also avail itself of the same technology which will result in increased profits but also a reduction in staff. At the Wolfson Law Firm, our Broward car accident attorneys have helped South Florida injury victims since 1963. Over the years, we have worked with our clients to obtain the maximum compensation that they were entitled to receive. We represent each client aggressively and with professionalism. 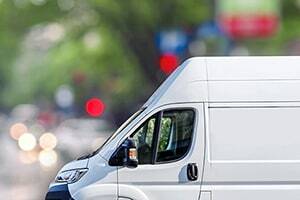 If you were injured due to the negligence of a UPS operator or driver, then we invite you to call us at (855) 982-2067 to discuss your options at no charge to you. We welcome any questions you may have including but not limited to your Broward UPS accident; our qualifications; or the legal system. But no matter what – don’t be a silent victim. Stand up for yourself and get the assistance that you need to obtain the justice you deserve. Our Broward County accident attorneys serve all of Broward County including the communities of Lauderhill, Rio Vista, Wilton Manors, Hallandale Beach, Dania Beach, Pompano, Margate, Pompano Beach, Deerfield Beach, Weston, Pembroke Pines, Cooper City, Davie and Fort Lauderdale.